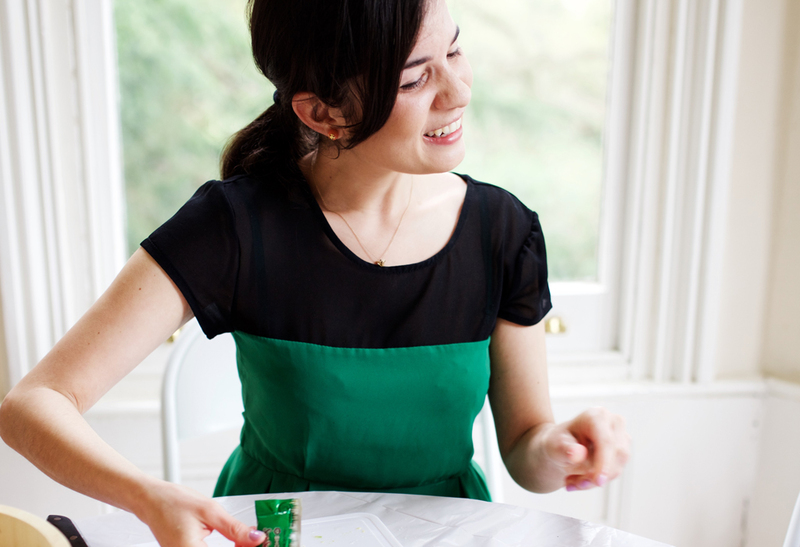 It’s picnic time at last, a good excuse to get creative with a bento box. I made two very different types this week. I recommend HOH Japanese branded bento boxes because they’re foldable, making them very convenient to pack. 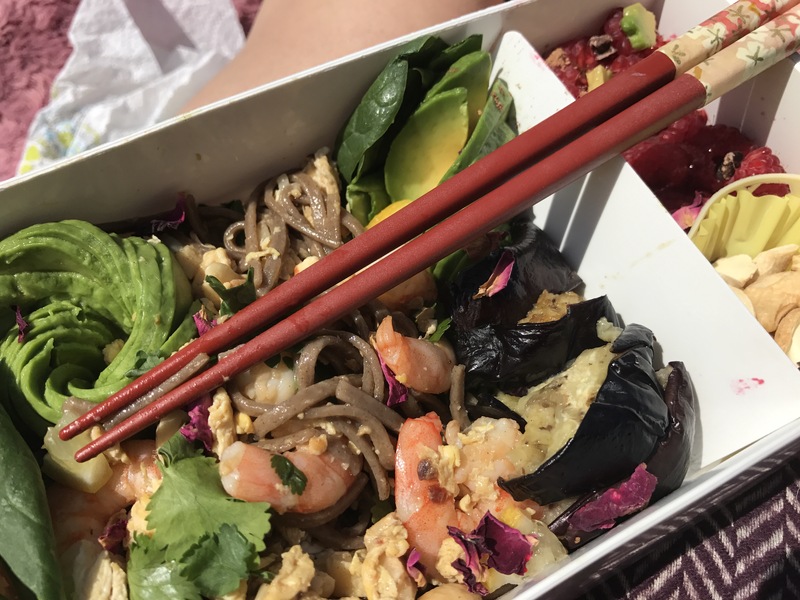 The summer bento pictured above holds buckwheat Thai noodles with prawns, egg, ginger, chilli and crushed cashew nuts. 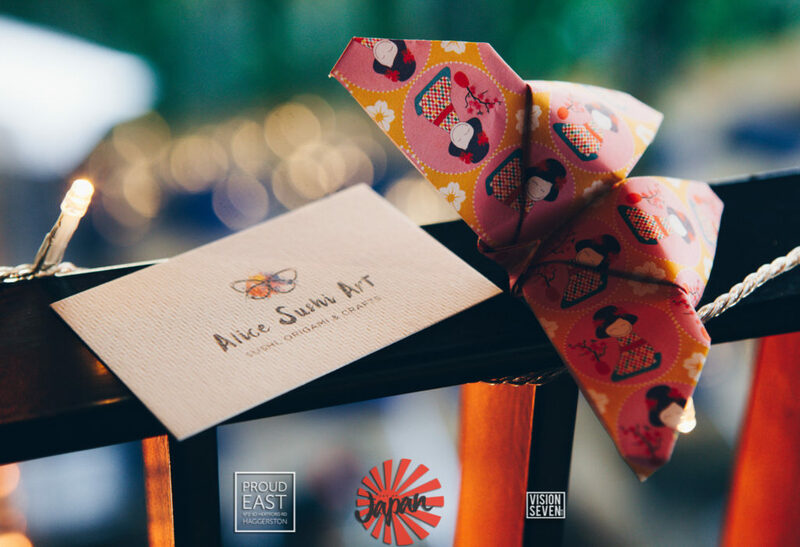 It’s arranged with complementary roasted aubergine, avocado, spinach and topped with nori seaweed butterflies, coriander and rose petals. The smaller side contains raspberries with cacao powder/cacao nibs, avocado flowers and more cashew nuts. This shows how you can incorporate a lot of your favourite ingredients into your bento! 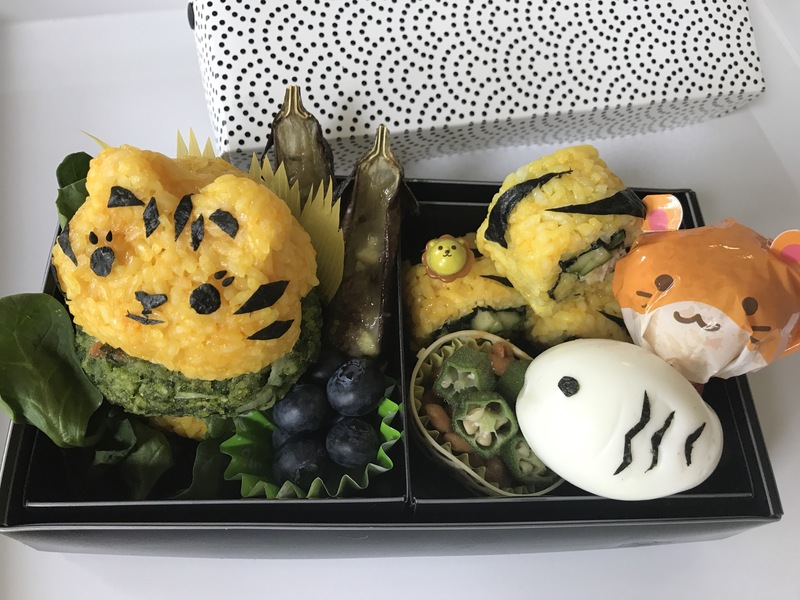 I also made a tiger themed character bento box (I recently went to the zoo!) 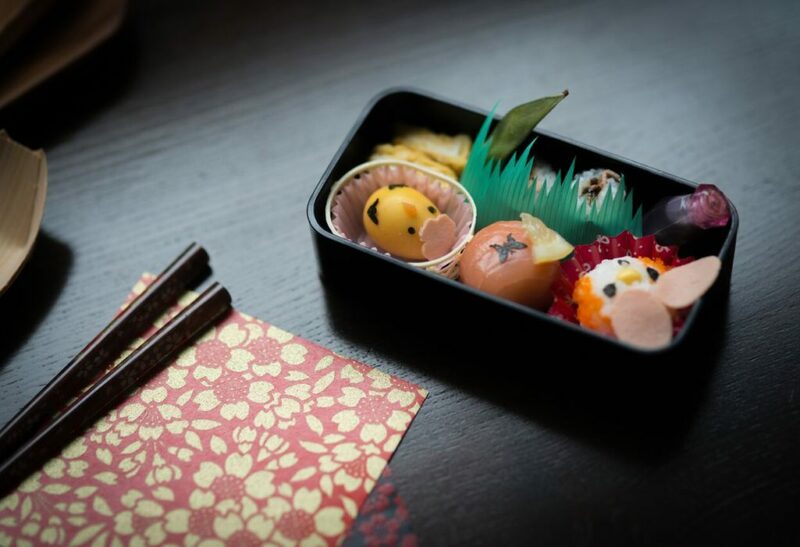 All flavours are completely natural, using a little turmeric to colour the rice a vibrant yellow colour, and nori seaweed to decorate faces, and the fish shaped egg. The tiger is a rice burger and holds a homemade ‘green burger’ (made from a lot of spinach, grated cheese, panko flakes, onion and egg). 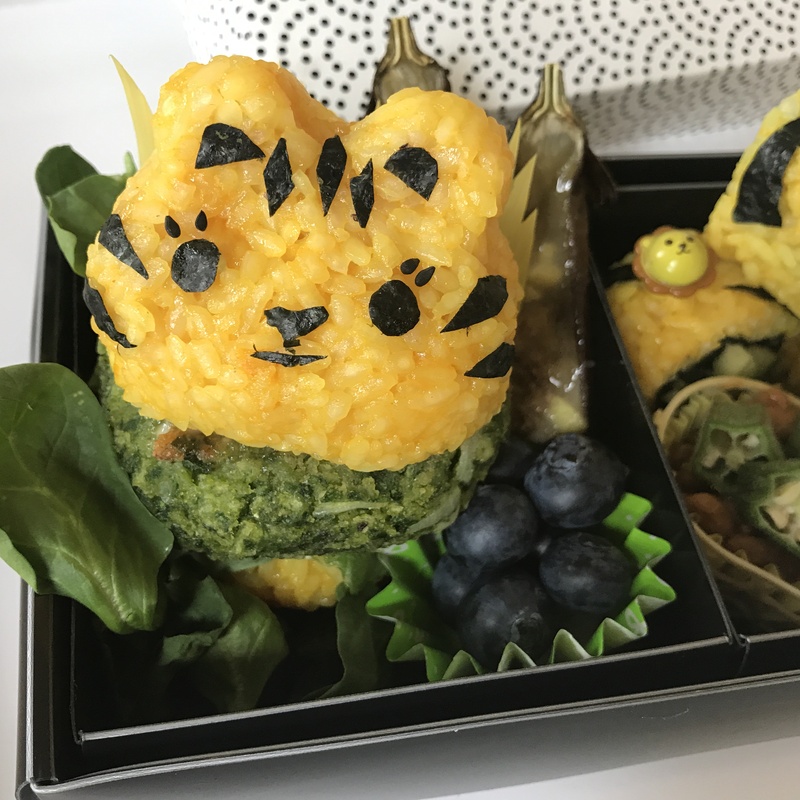 I designed an inside-out roll using the yellow rice and adding carefully cut out tiger stripes. Other ingredients include miso roasted baby aubergine, blueberries (for contrast), natto (fermented soy beans) and okra. Egg moulds, cute bento picks and temari (sushi ball) character wraps add to these cute bento types. 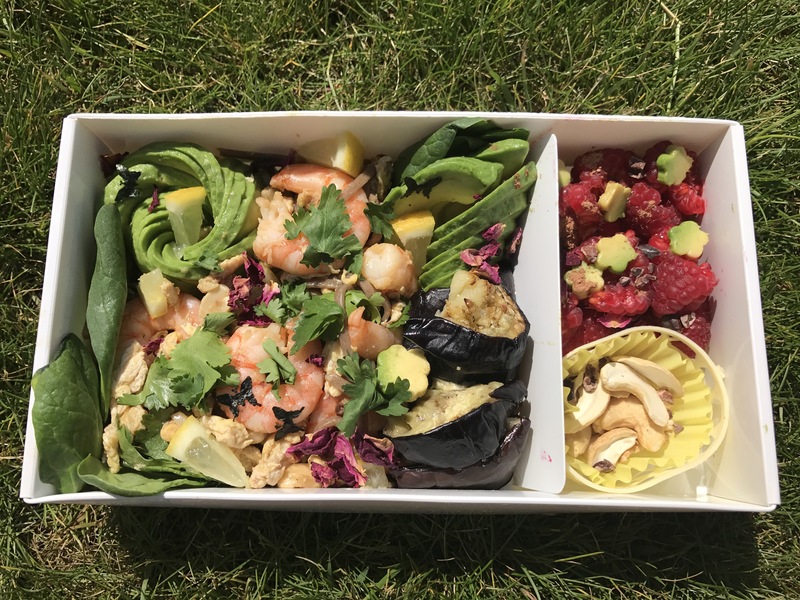 There are many more bento types to explore (Inc. vegan, vegetarian, fruit based) and this summer is a great time to learn how to make and present these beautifully. 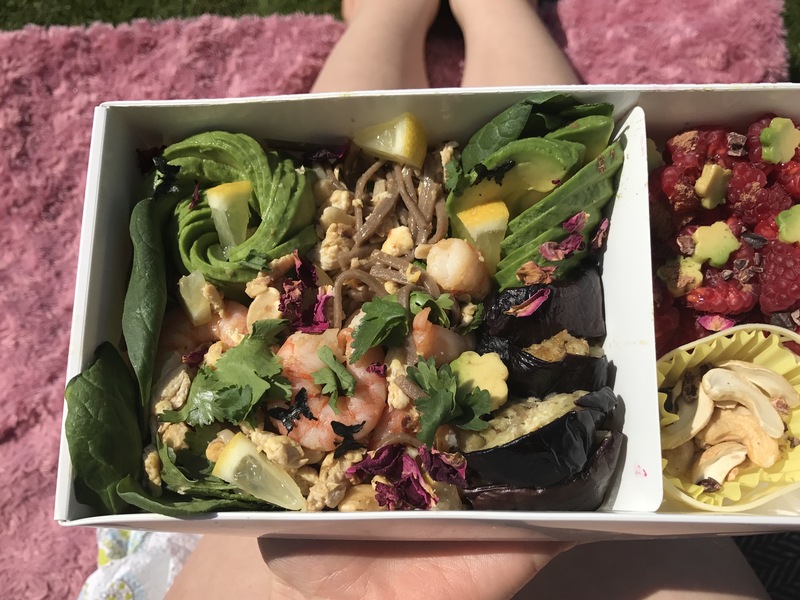 Contact Alice to arrange your summer bento making event using the contact form below or explore some of her other classes here.